The road ahead of us cut a straight line into the barren desert landscape of southern New Mexico, and looking at what was laying in front of us, I couldn’t see yet how we’d reach some of the biggest caves in the world within the next 15 minutes. Finally we turned off the highway, which, had we followed it further, would have led us straight to the Texan border only 18 miles down the road. 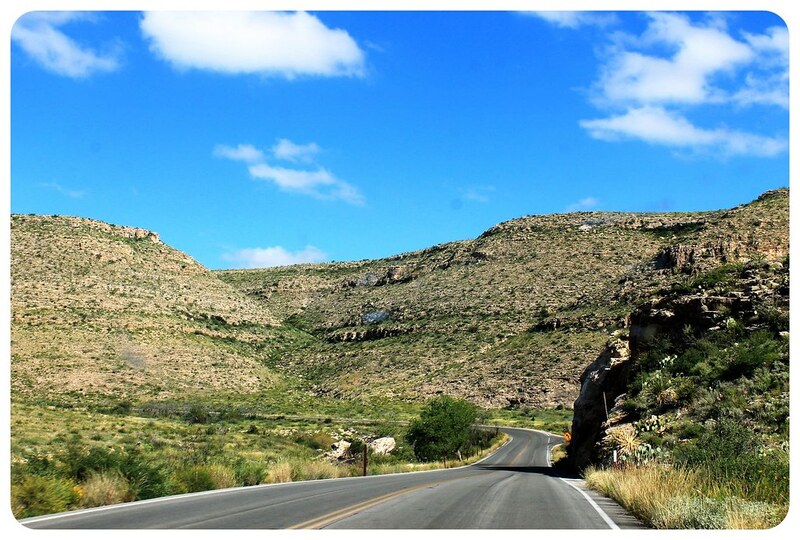 Instead of the straight road through flat no-man’s-land, the road we were on now was sloping around mountains and hills into the Carlsbad Caverns National Park, making it more likely for a cave to be somewhere around here. I am still not sure how this cave was discovered out here in the middle of nowhere, and it was in fact a completely random discovery by a teenager, Jim White, who was a cowboy herding cattle in the area back then, and who continued to explore the caves in-depth over the next few years. When reaching the visitor center, we learn that there are actually two ways to get down to the cave chambers: the lazy one would be taking the elevator (first cave we’ve ever been to that has an elevator!!) and arrive at the caves within a minute. The other one would be hiking down into the cave through the natural entrance and experience them the way Jim White found them in 1898. Of course we opted for the hike. I still remember the small, nondescript sign along the path to the entrance that read ‘Strenuous hike ahead. Exhaustion and weak knees common.’ … and not thinking much of it. The natural entrance way is strenuous! It climbs 800ft (240 meters) in 1.25 miles (2km). Allow one hour to hike to the surface. If you have problems with knees, back, heart, breathing or diabetes, then you should use the elevator. You must wear appropriate footwear, have good physical health, and a can-do attitude. When we finally got to that sign, I wondered why this exact sign hadn’t been on the other side of the trail, too. 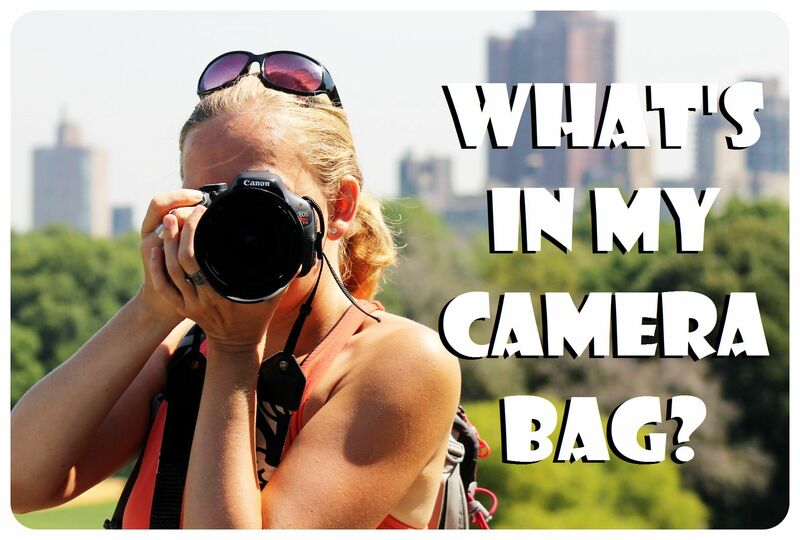 To be honest, we had no idea what a hike we had gotten ourselves into when we entered the cave – and certainly didn’t expect it to last 90 minutes! It was definitely worth it though – it felt just as adventurous as it must have been for Jim White and others before him who had found the caves (if you ignore the paved path and handrails). The trail was barely lit, adding a mystic atmosphere to the various chambers we passed on our way down. The few lights that lit the way created spooky shadows around the stalactites and stalagmites surrounding us, and the narrow cemented path that went deeper and deeper into the caves went right underneath huge stalactites several times. When we finally reached the famous Big Room, we couldn’t believe how big it actually was! After our 90-minutes hike to get there, it took us another hour to follow the walkways around the cave.. one hour to walk around just one chamber of the cave! This room is also known as the ‘Hall of the Giants’, not only for its superlative sizes (4,000 feet / 1,220 m) long, 625 feet / 191 m wide, and 255 feet / 78 m high at the highest point), but also for its giant stalactite and stalagmite formations, such as the ‘chandelier’. 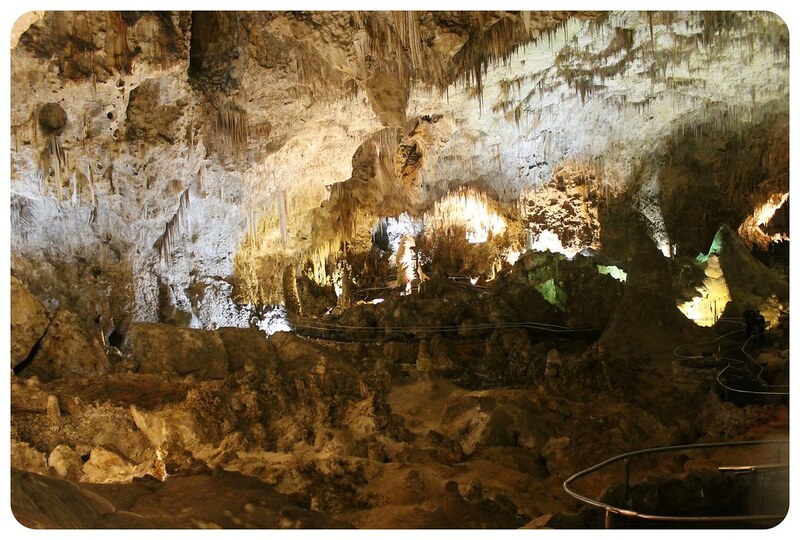 The Big Room is actually the 7th biggest cave chamber in the world, and 3rd largest in all of North America. 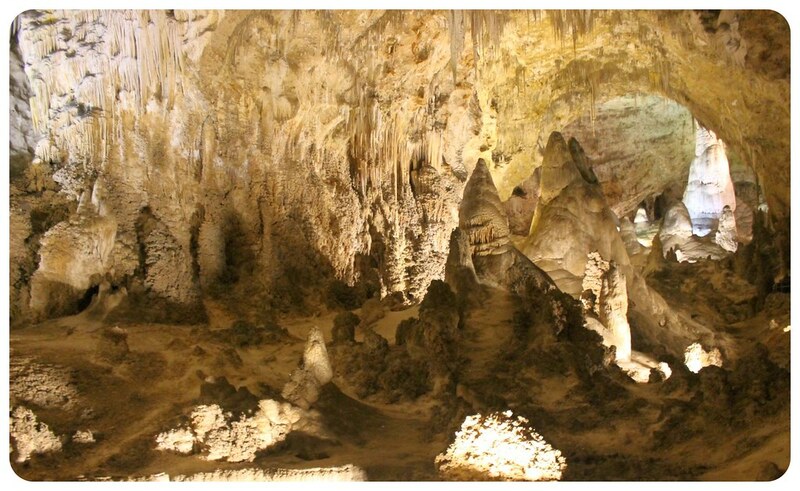 In total, there are around 120 caves in the National Park, most of which can be visited on either guided or self-guided tours. The illustrative names of the chambers, like ‘The King’s Palace’, the ‘Hall of the White Giant’, ‘Spider Cave’ or ‘Green Lake Room’ date back to Jim White, who named almost all of the famous rooms. 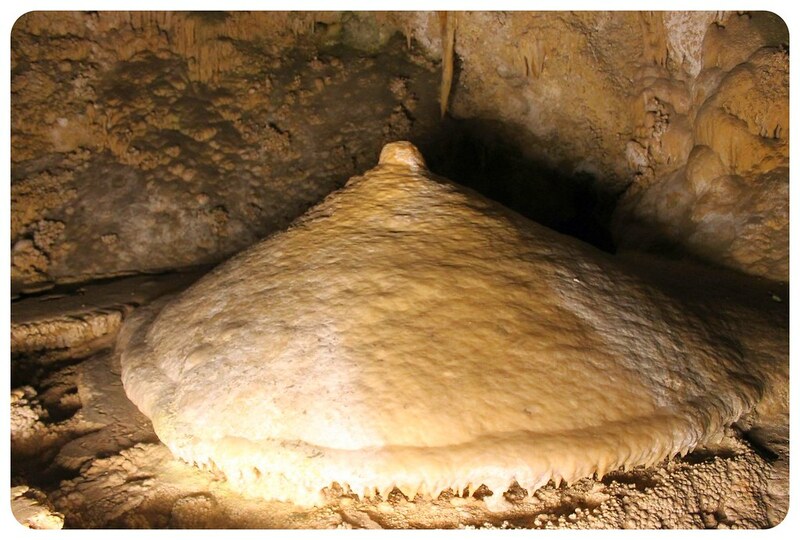 Most of the formations inside the caves were already growing during the last ice age when there were still pine trees growing in the area, instead of the desert that you find there today. These formations also still carry the names that were given to them by their discoverer Jim White – descriptive names such as the Iceberg Rock, Totem Pole, Witch’s Finger, Giant Dome, Bottomless Pit, Fairyland, Temple of the Sun, and Rock of Ages. During the strenuous hike down, we didn’t notice that the temperature had dropped significantly, but as soon as we reached the Big Room, where walking was easier, the difference in temperatures couldn’t be ignored anymore: we had started at 90°F (32°C) outside, and were walking around in a chilly 56°F (13°C) now! Now we were glad that we had brought our jackets. By the time we reached the elevator to head back up, I was so cold that I couldn’t wait to see natural light again and feel the warming sun rays on my skin. 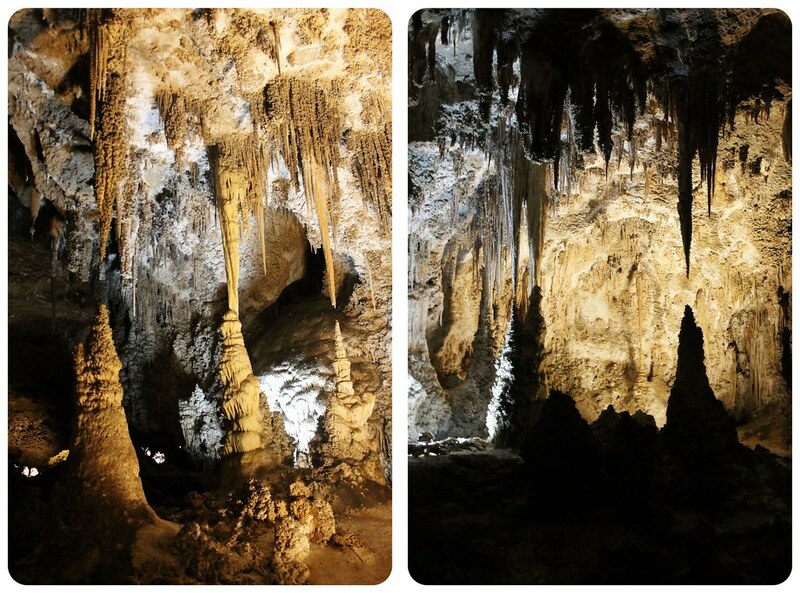 We have seen several other caves on our travels so far, but none had been anywhere near as impressive as Carlsbad Caverns were. 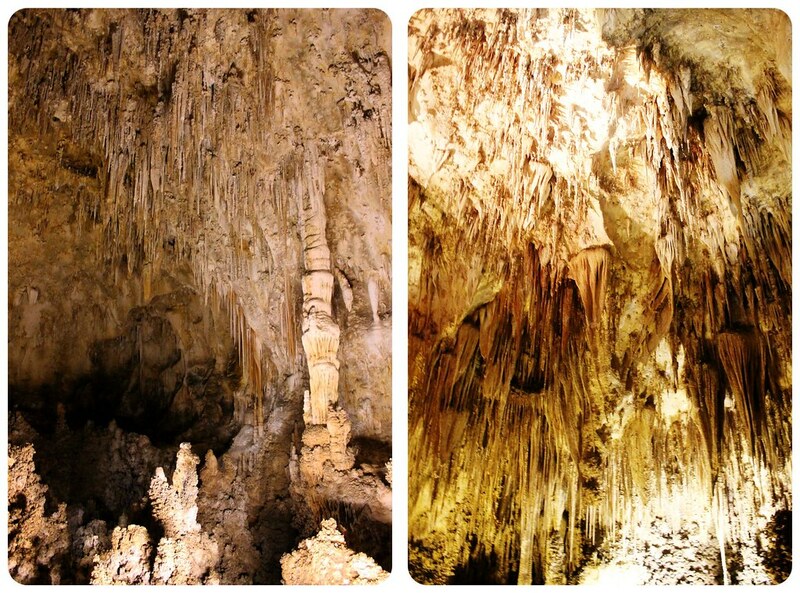 We actually ended up driving down to Carlsbad Caverns twice from Carlsbad: once to visit the caves and once to witness the bat flight, when thousands of Mexican free-tail bats come out of the caverns to hunt for bugs. The bat flight usually occurs at sunset and can be experienced every night from mid-May through September (check what time sunset is) from the amphitheater near the natural cave entrance. Prior to the bat flight, there is a short talk by one of the park rangers about the bats, their habits and their history in the caves. The bat flight program at sunset is free. Photography or filming is not allowed at all. 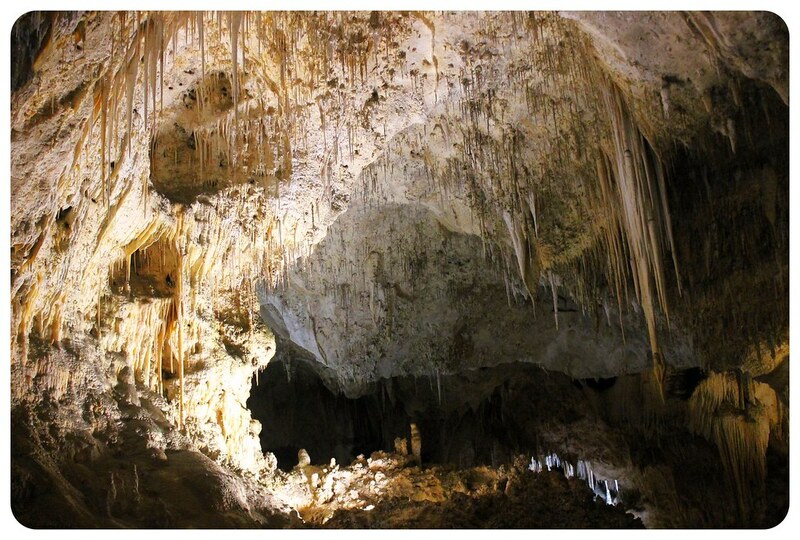 To be honest, we weren’t too impressed with the bat flight – next time, I would plan my visit different and hike down into the caves in the afternoon and just stay for the bat flight instead of driving down there twice from Carlsbad. 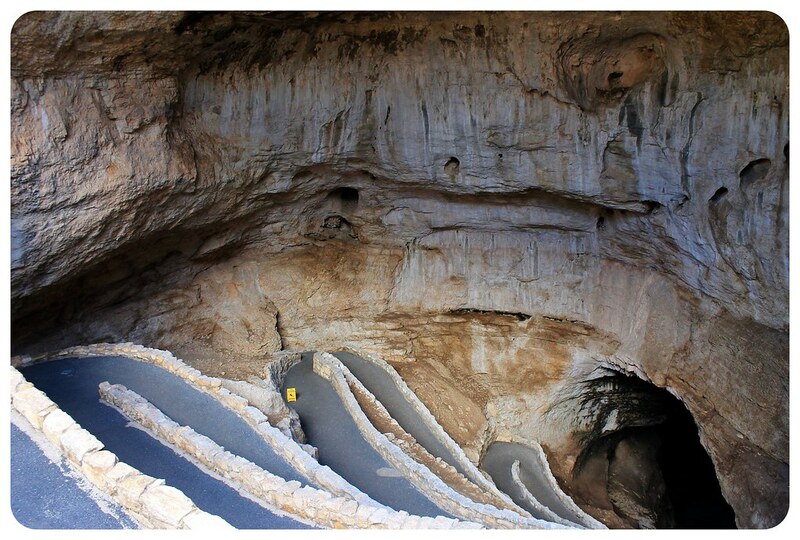 Carlsbad Caverns are about 18 miles (29 km) south of Carlsbad – the drive will take 35 to 40 minutes depending on where in Carlsbad you’re staying. Admission is $10 per person, additional fees apply to ranger-led tours. 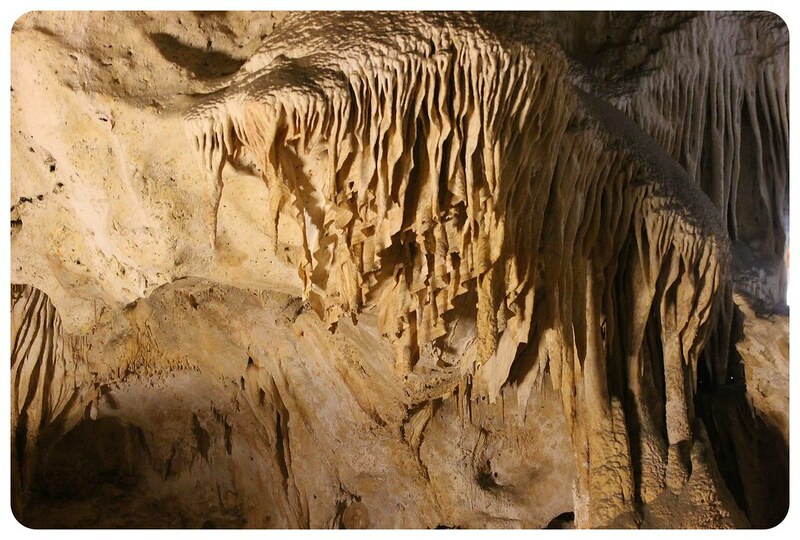 If you are interested in learning more about cave geology, history, formations, etc., we recommend renting an audio headset at the entrance. The hike through the natural entrance takes appr. 1 hr 15 mins. More information can be found on the official NPS website. Thanks, George! I didn’t even know about the Spider Cave tour (judging from its name Spider Cave wasn’t something I was particularly keen on visiting 😉 ) but I hope you get to join that tour one day! Great post and nice photos Dany. I love exploring caves. They have this feeling of adventure and remind me of Indiana Jones. That looks so great! Thanks for sharing your experience. As you probably know the US pretty well: My brother is living in Nashville and my parents want to visit him for 2 weeks. They want to spend a few days in Nashville and travel around the rest of the time. Which area would you recommend for first-time-US-travellers? 😉 There are so many options and it’s really hard to decide for them. Maybe you have a great recommendation?! 🙂 Thanks in advance! Looks beautiful! 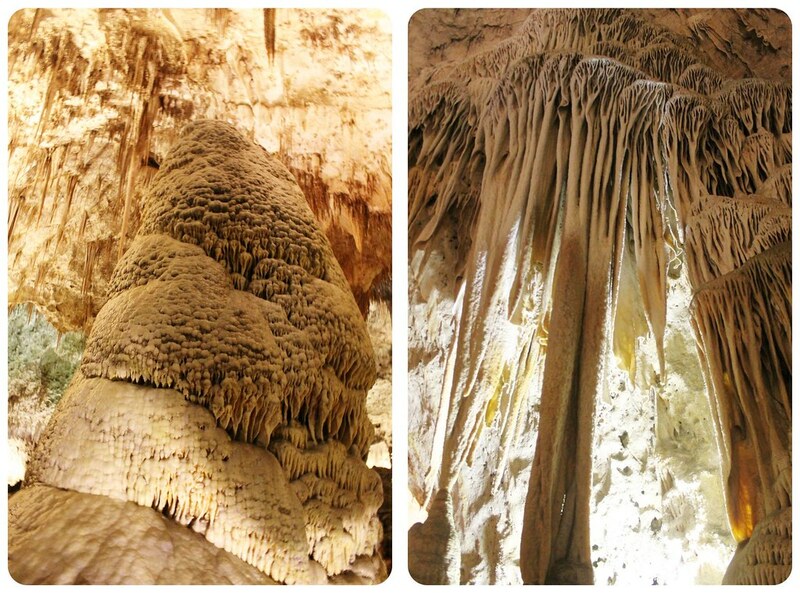 We just visited the Kan’Ba caves at Semuc Champey in Guatemala and the bat caves in Lanquin. and I think I’ve found a new passion. 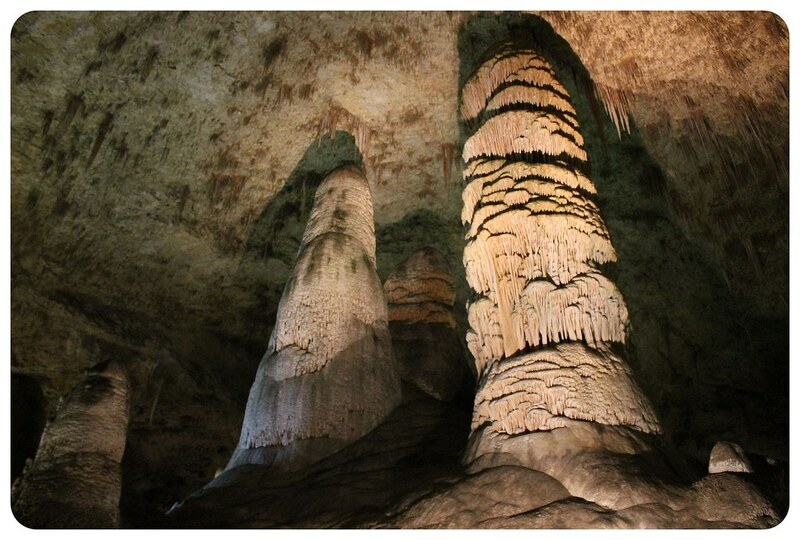 I’ll definitely have to add Carlsbad Caverns to my new list of caves to be visited. 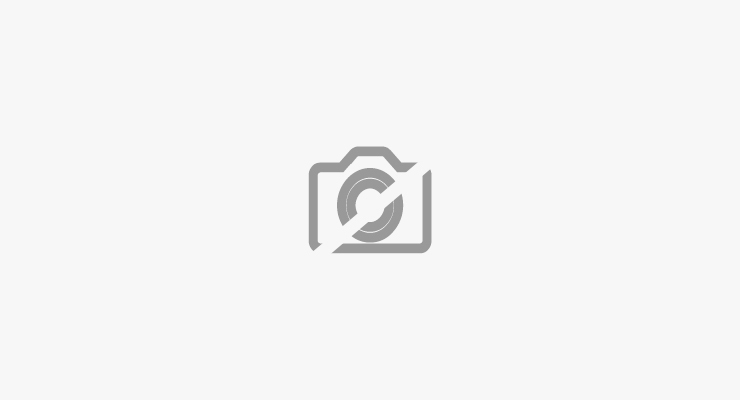 Sarah – I still remember the bat caves in Lanquin, they were pretty amazing, too!! What a great experience! 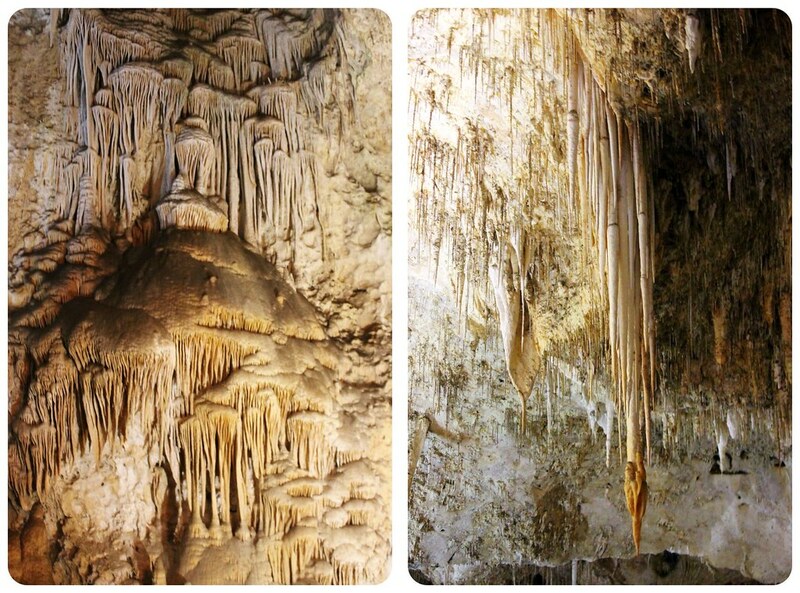 I love how diverse caves around the world are – always surprises to uncover in them. 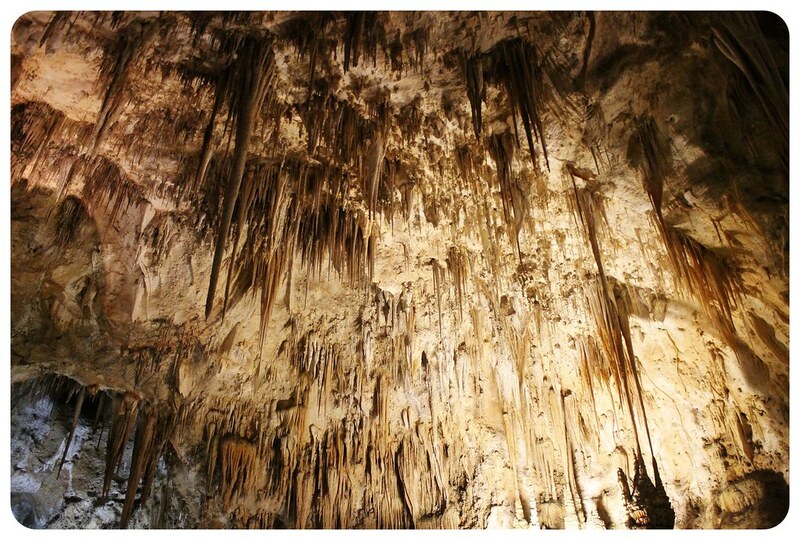 And your photos capture the cave beautifully! Silvia, thanks so much! 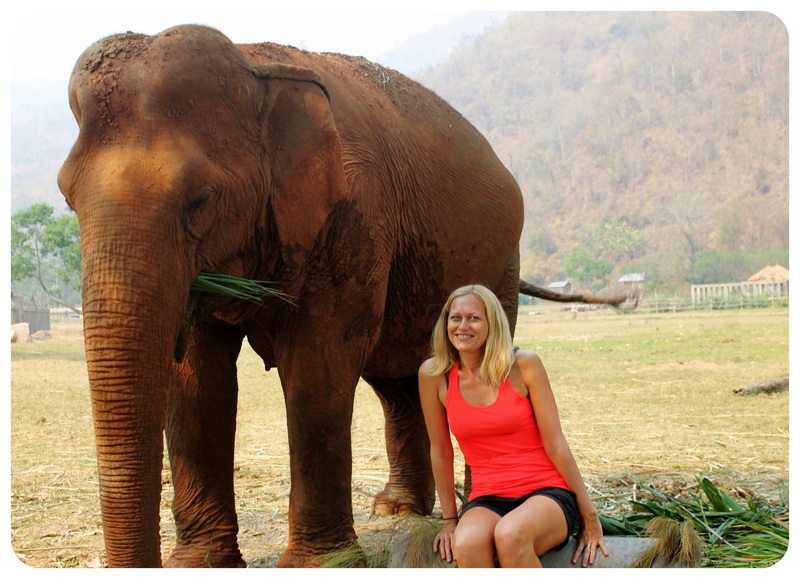 I also love how diverse caves are around the world – you must have seen a few nice ones in Laos? I remember visiting a few around Nong Khiaw and they were very pretty. 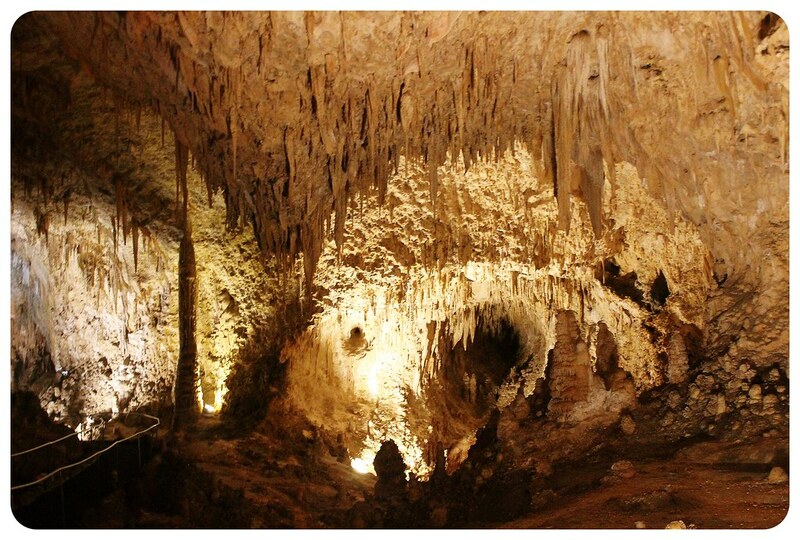 Cavern and cave hopping is one of my favorite ways things to do when I travel, but I haven’t made it out to Carlsbad yet. It looks beautiful! Wonderful pictures. Austin, TX supposedly has one of the best bat flight experience. I’ve seen the one in Houston and its pretty cool; but it looks a lot more intimate than the one you went to, based on the ampitheatre size. Ours is just a hill on the side of the bayou in the middle of the city. You get really up close and personal with them! I have heard that they have gotten somewhat less impressive lately, though, as a result of the drought a few years ago. 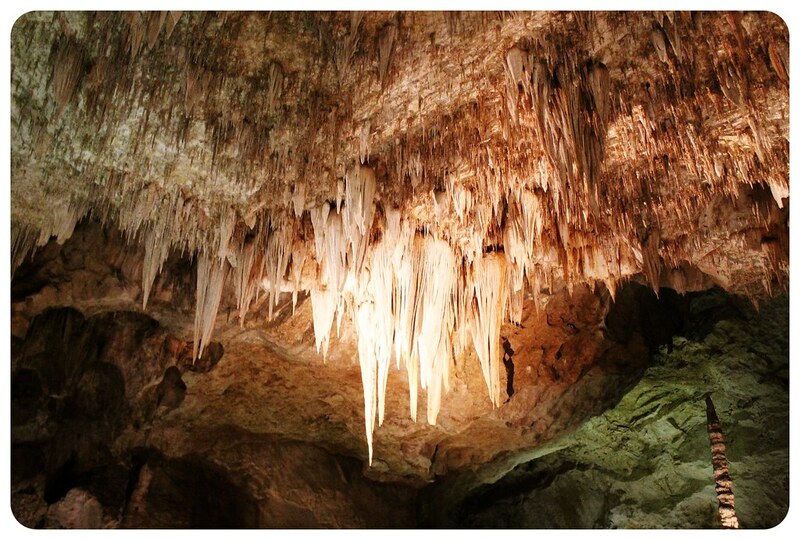 Another reason to visit Austin, I guess 🙂 And yes, the bat flight at Carlsbad Caverns is quite a spectacle.. it wasn’t busy when we were there (mid-September) but I can only imagine how packed it is in the summer months. I wonder if they’ve all gotten less because of the drought? Hope they’ll recover and get back up to the numbers they used to have. Wow! 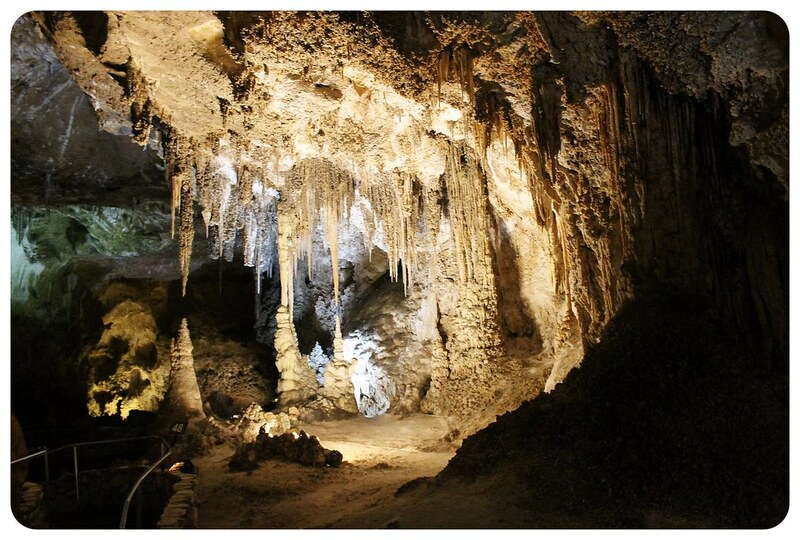 We visited some cenotes while exploring the Yucatan Peninsula but these caves are really impressive!! Thanks for sharing.